When the new students arrive in The Forest each fall, we alums get nostalgic for our days on campus. So, we compiled some advice for our newest students. 1. Who wouldn’t feel lucky to spend four years in the beautiful Forest? Be one with the trees! 2. Get to know your professors! It’s not hard to do. They care about you—for reals. 3. Show your school spirit (you know you’ve got it) and get thee to a Rangers game! 4. Study abroad. Back home, don’t miss the NYC Semesters—they are uniquely Drew. 5. You know that girl you always see on the path? The guy next to you in Psych 101? Your treadmill neighbor? Say hello. You never know who’ll end up a lifelong friend. 6. 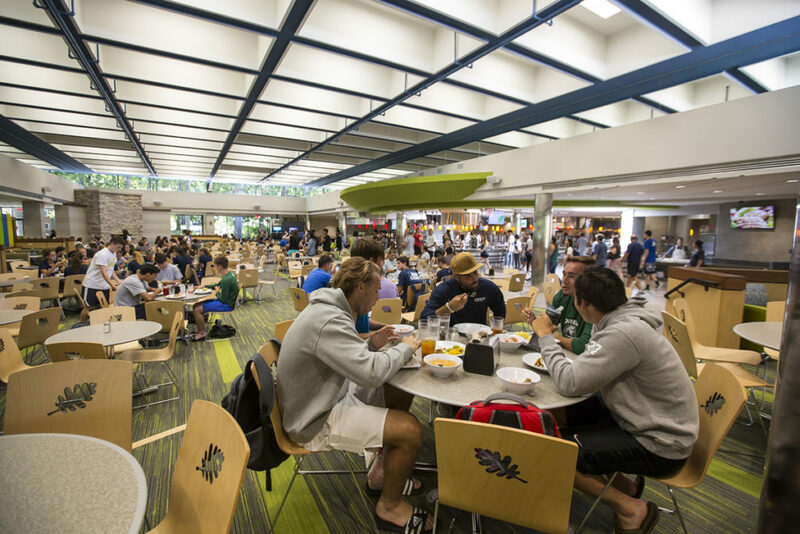 For great food and good times head to the Commons. Do not miss Thanksgiving Dinner. Don’t make us say it again. 7. Always wished you could sprechen Deutsch? Curious about choreography? Take a class outside your major early on. 8. Get involved! You know how many clubs and activities there are at Drew? A zillion. Still can’t find one you like? Start one yourself. 9. Go to a DUDS production. Thank us later. 10. Don’t make a rookie mistake and wait until senior year to do an internship. And use the Drew resources available to land one. 11. Try a new route back to your dorm. Aztec stairs, anyone? 13. Your Momma was right. Breakfast is the most important meal of the day. Don’t skip it! 14. Speak up in class. Seriously. The student:faculty ratio is 10:1 for a reason. 15. Call your family once a week—at least. They miss your face. 16. And don’t forget to study! 17. Enjoy every minute. Your time at Drew will go by very quickly.